West Silloth Motors | Save up to 40% on your car servicing costs without affecting the manufacturers warranty! WEST SILLOTH MOTORS are dedicated to providing a friendly, professional service to all our customers. We offer efficient & reliable care of your motor vehicle and by using our diagnostic machines and experience aim to get your vehicle back on the road as quickly as possible. Established in January 2000 and situated at Causewayhead, on the outskirts of Silloth. we re-located to our present location due to out growing our previous site in West Silloth. Our aim is still the same … to produce efficient, reliable and affordable work to our customers, you could save up to 40% on your car servicing costs without affecting the manufacturers warranty by using West Silloth Motors! Working directly with the trade and public our workshops deal with all aspects of the motor trade and we aim to offer you a competitive service whatever your requirements. We also offer our customers a local collection and delivery service at no extra cost. 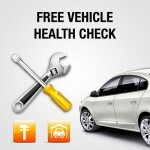 Please ask for more details if you require this service. New ATL MOT Test Bay. 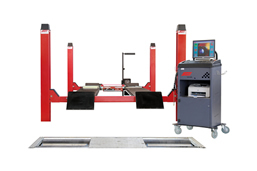 Here at West Silloth Motors we believe that only the best equipment will do, that is why we have invested in the new type of ATL MOT Testing Bay, which uses the very latest technology to ensure that your car is in the best condition. We MOT by appointment Monday-Friday 8am – 6pm and we also have a MOT viewing and waiting area available, as well as having a collection and delivery service available for the surrounding area. We look forward to seeing new and repeat customers, and would like to thank everyone for their custom. Did you know that you can have your test done within 30 days of the expiry date? 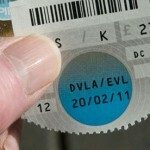 If the car passes, your MOT it is valid for up to 13 months.